Today's weddings are not just boxed into a plain cake! Whatever you and your partner's favorite desserts might be--seasonal pies, decadent cookies and brownies, or a traditional tiered cake--we've got you covered! 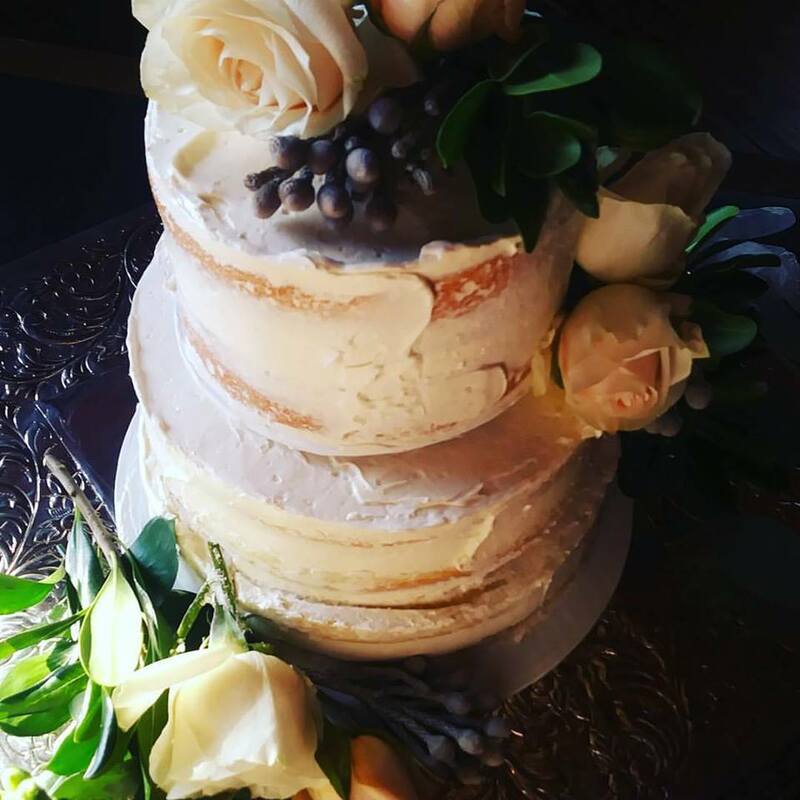 Blue Sky specializes in delicious, simple wedding cakes. We don't use fondant or gum paste, and instead focus on creating freshly-baked cakes that your guests will rave about. To schedule a cake tasting (and review our options,) please complete this handy-dandy form. Cakes are not the only option as a wedding dessert any more. Pie bars are very popular, and we are here to help you present a beautiful and delicious assortment of pies that will delight your guests. To schedule a pie tasting (and review our options,) please complete this handy-dandy form. Why limit yourself to one sweet treat? Pick your favorite cookies, bars, and cupcakes and create a spectacular dessert bar. To schedule a tasting (and review our options,) please complete this handy-dandy form.